Cincinnati Basement floor coating is the fastest, most inexpensive way to update your home. 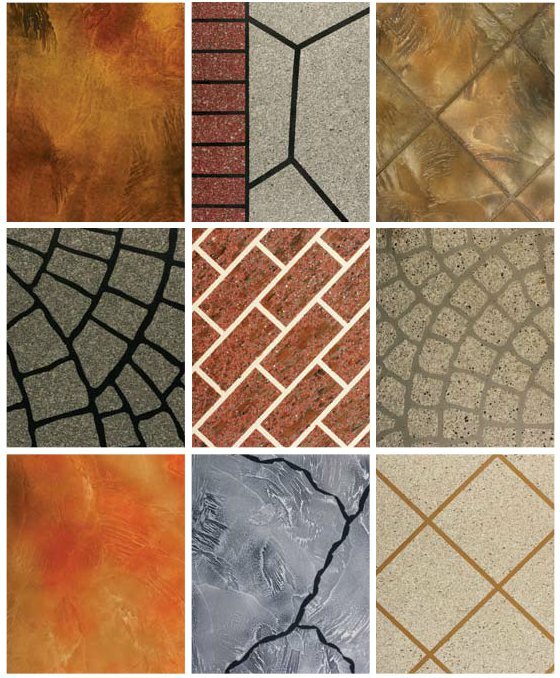 With unlimited styles and colors your basement floor can become a work of art. At Cincinnati Concrete Resurfacing we install a flooring system that is twice as strong as concrete. Our product has unlimited color and design potential. Possibly the best part about our system is its extremely cost effective when compared to traditional floor coatings. The number one cause of floor coating issues is poor surface preparation. Our trained staff is experts in the field. They extensive experience cleaning concrete flooring in order to coat the surface. Consumer grade coatings are no match for our 10-year guarantee. Consult one of our experts today. Find out how you can have a surface that is durable, easy on the eyes, and that adds life to your concrete. Having your basement floor coated is easy and hassle free. The application process is pretty simple and you’ll have access to your basement in 24 hours. Our installers will thoroughly prep the surface using an industrial grinder while using a HEPA filter vacuum. Once complete the surface will be lightly mopped and is ready for the coating. Depending on coating choice a pattern is applied or the surface is left plain. We then apply the specially formulated coating. We allow it to dry for approximately 45 minutes and then apply a sealant. All of this takes place, most times, in a single day. Cincinnati Concrete Resurfacing is specially trained and certified to apply basement floor coatings that will last a lifetime. The coatings are easy to clean; most times a damp mop does the job with little effort. With limitless color combinations and texture possibilities your basement floor can be a showpiece instead of a space hidden behind a door. Give us a call today, speak to one of our design experts and learn how Cincinnati Concrete Resurfacing can help you transform your basement. Call 513-315-1661 today!